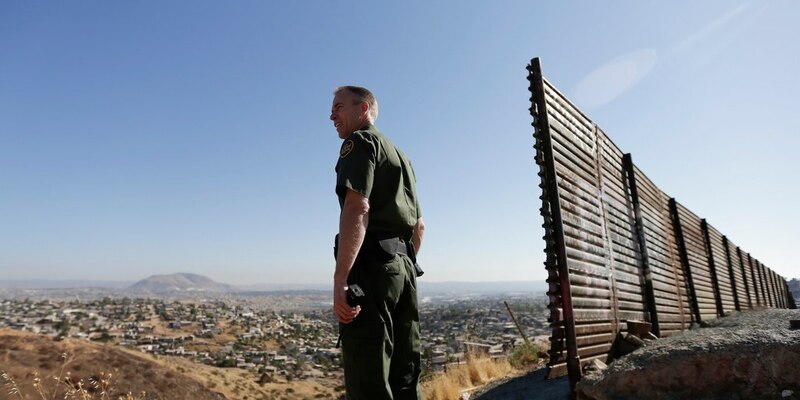 President Trump's proposed closure of the Southern border with Mexico could have devastating consequences for the US economy. Beyond rocketing avocado prices, the possibility of border closure would lead to billions of dollars in lost trade and could even swing the US into recession. Trump has acknowledged the potential economic impact but noted that "security is more important." Donald Trump's threat to close the US-Mexico border has led to White House officials scrambling to prevent the move, with trade experts warning that it would impact much more than millennial brunch. Avocado prices have spiked amid fears that Trump might make good on his threat, while produce could start disappearing from shelves within days within days. Some $558 billion of trade travelled, mostly by truck, between the US and Mexico in 2017. "Closing the US-Mexico border would inflict severe economic harm on American families, workers, farmers, and manufacturers across the United States, warned to the US Chamber of Commerce this week. "US trade with Mexico exceeds $1.7 billion daily, and nearly half a million people legally cross the southern border every day as workers, students, shoppers, and tourists."